Pembroke Power Station is the largest combined cycle gas turbine power plant in the UK and Votec were commissioned to provide a high availability control system for the water treatment plant which provides the feed water to generate steam for the turbines. Large volumes of water of very high purity are required continuously and reliably. The plant takes raw water from the local river or mains supply and the water is treated in two duty / standby streams. Under normal circumstances a single stream will produce the required volume of treated water but under exceptional demand, both streams can be put into operation for maximum production. The process includes coarse filtration, ultrafiltration, two stages of reverse osmosis and mixed bed polishers. The plant operation is entirely automatic with chemical dosing, filter backwashing and ion-exchanger regeneration. Waste water neutralisation is also handled by the system. 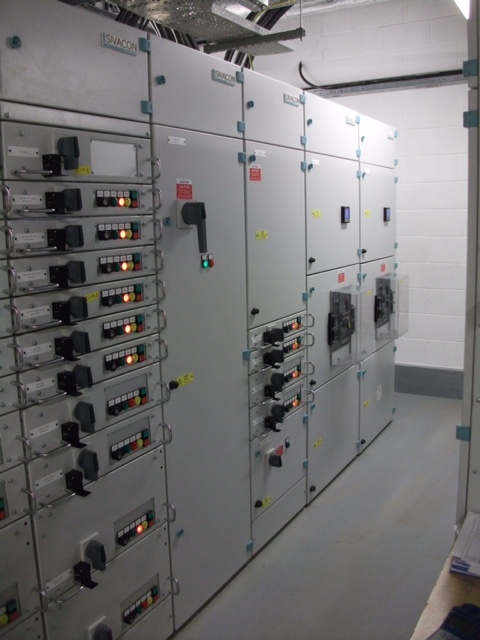 Votec designed and built the control system, employing the Siemens S7-400H dual redundant, hot standby PLC controlling over 120 valves and 40 drives. The control system i/o is distributed over 14 remote racks across the plant on a dual redundant Profibus network. The system is controlled and monitored through a local panel mounted PC and the dual redundant PLCs communicate on ethernet to a SCADA system located in the main control room.